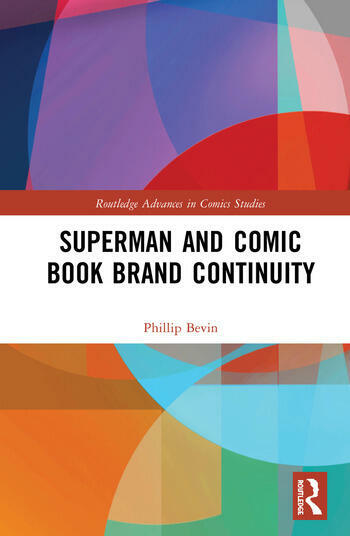 Superman and Comic Book Brand Continuity traces the development of comic book continuity through the case study of Superman, examining the character’s own evolution across several media, including comics, radio, television, and film. Superman’s relationship with continuity illustrates a key feature of the way in which people in western societies construct stories about themselves. In this respect, the book is a study of narrative and how comic book continuity reflects the way that, in wider western post-enlightenment culture, storytelling shapes the common sense and received wisdoms that influence how we perceive "reality." The scope of the analysis extends from Superman’s creation in the late 1930s to the recent films Man of Steel (2013) and Batman v. Superman: Dawn of Justice (2016), as well as the current comic book reboot Rebirth (2016). Conclusion: The Once and Future Superman? Phillip Bevin is an independent scholar. He has a PhD in Film and Television Studies from Kingston University, London, UK.